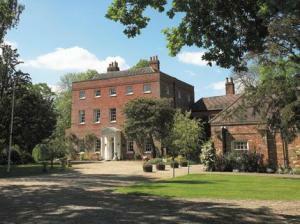 Choose from 31 hotels and guest houses in Essex. Shown below a just a selection of the hotels available. To search within an area please use the menu on the right. This beautifully converted 15th-century farmhouse is set in the grounds of Channels Golf Club, surrounded by over 300 acres of quiet, peaceful parkland. With 27 challenging golf holes on site, Channels Lodge has 14 en suite rooms, each of which is charming and individually designed. The rooms combine beautiful original features such as exposed wooden beams, with modern comforts and facilities, such as TVs and DVD players. All rooms come with a minibar, confectionery and tea/coffee making facilities, as well as soft luxurious duvets, bathrobes and slippers. 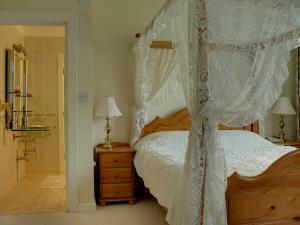 There are 2 bridal suites, 3 suites and 9 executive rooms. Free broadband wireless internet access is available throughout the hotel. Channels Restaurant is renowned for its excellent food and friendly service. 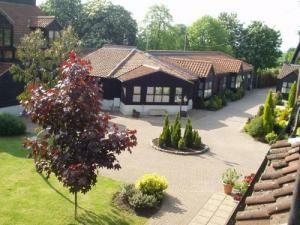 Channels Lodge is located close to the A12, between Chelmsford (2 miles/3.2 km) and Colchester (25 miles/40 km). London Stansted Airport is only 20 minutes away. In the heart of the Essex countryside, the lodge has a peaceful, yet convenient setting, luxurious accommodation and modern facilities. Whatever your reason for visiting the area, Channels Lodge is great for a relaxing, romantic or golfing break, or as a convenient base for business travellers. 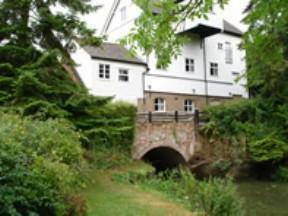 This Grade 2 Listed building is set amid landscaped gardens, and is just 3 miles (4.8 km) from London Stansted Airport. 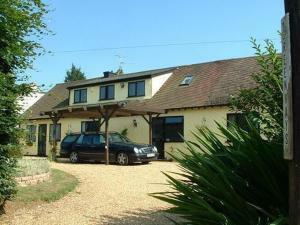 Next to a country inn serving lunchtime and evening meals, this accommodation is convenient, comfortable and cosy. Free drink at local pub when ordering any main course meal. All rooms are located in our listed, converted barn, and are fully en suite; each room also has its own private entrance. Free station/airport transfers are available from 07:00 until 11:00, and from 16:00 until 21:00. Long-term parking is also available. Continental breakfast is available at any time in our self service breakfast area. This is especially convenient for those guests that have early morning flights. A late check-in (after 23:00) can be offered (by prior arrangement). 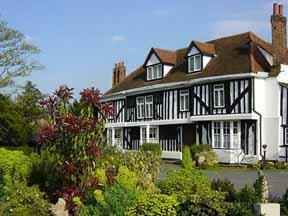 Once a Georgian manor house, the Park Inn Thurrock is set in beautiful gardens. You will receive a warm welcome and excellent food and service. 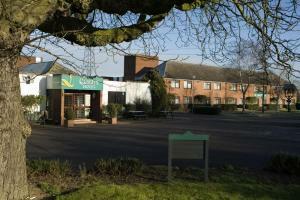 The Park Inn Thurrock has the refined Regency Restaurant and the more informal Champions Bar. Both Lakeside and Bluewater shopping centres are a short drive away. Central London is very accessible either by road or rail. In central Southend, with superb views of its pier and estuary, this 4-star (Silver Award), boutique, family-run Guest Accommodation is in a conservation area, next to the high street and a very short stroll from the beach. Within a charming Grade II Listed building, Pier View opened in March 2008 after an 8-month restoration of its original architecture. Pier View now offers Wi-Fi and LCD TVs in all bedrooms, with traditional Georgian fireplaces and beautiful ceiling cornices. In a central Southend location, Pier View is 5 minutes' walk from the Central Train Station (direct links to London) and the Central Bus Station, 10 minutes from Victoria Train Station. The A127 and M25 are also easily accessible. With great leisure facilities, food and views, Essex Golf and Country Club Hotel is on the outskirts of Colchester, a 20-minute drive from Stansted Airport and links to London. All residents receive free use of the swimming pool, sauna, steam room, spa bath and gym. Reduced rates are also offered for tennis-court hire and golf. Additional facilities include a Techno gym, 9 tennis courts, a 9-hole golf course and a 12-bay, floodlit driving range. A free wireless internet hotspot is available throughout the hotel. Essex Golf & Country Club also has on-site beauty and hair salons. Many of the spacious en suite bedrooms have excellent views over the Championship golf course. All rooms have a flat-screen TV with Freeview and free toiletries. Originally built in 1398, the Bull is best described as a high street pub with bedrooms; offering warmth, character and individuality, the lively pub is the social centre of this Essex town. 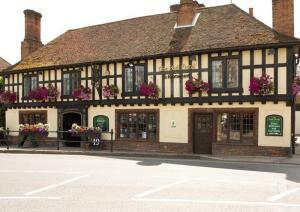 Halstead is a quaint, but often busy, north Essex town, particularly at weekends. Situated in the heart of the town, at the bottom of the High Street, the building has been a coaching inn for over 500 years. The Bull boasts a warm comfortable ambience, relaxed dining, an extensive menu and an inviting bar with a fantastic range of beers, wines and spirits. A hearty full English breakfast is served every morning. With a vibrant and lively atmosphere, the pub offers regular live music nights and karaoke at the weekends until late into the evenings. All major sporting events are shown on the big-screen plasma TVs in the bars. Please note that bedrooms are affected by noise from the bars at weekends. This small, family-run hotel set in 150 acres of countryside is situated just 5 minutes drive from the heart of Brentwood and only minutes from junction 28 of the M25. With its own 18-hole golf course the 18th century courtyard-style hotel has an impressive backdrop. Weald Park offers you the peace and tranquillity of the countryside, despite being 20 minutes from central London. The beautiful Essex countryside offers many historic attractions to be enjoyed during your stay With the rolling hills of South Weald as its backdrop, the hotel is a couple of miles from the busy town of Brentwood. You will be pampered with good service as you unwind in the stress-free ambience. Set in a forest village nature reserve, Greenways Lodge offers good value accommodation, just 4.8 km from Stansted Airport. 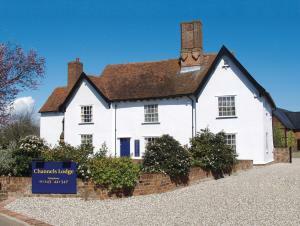 Greenways Lodge provide a free morning transfer to Stansted Airport. There are many beautiful forest and lake walks in the National Trust nature reserve area of Hatfield Forest Country Park, bordering Stansted Airport. All rooms are comfortably furnished, with en suite facilities and a TV. There is Wi-Fi access in all rooms. A lobby computer and printer are also available. 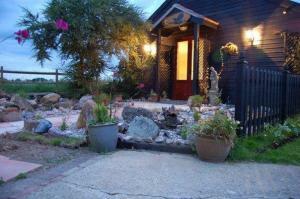 The Lodge is close to a great country pub, serving evening meals and snacks. Free land-line phone calls are also offered to most countries, including the EU nations, USA, Canada, Australia and New Zealand. London is just 45 minutes away by express train and Cambridge is a 20-minute train journey away. 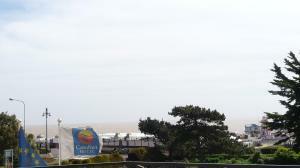 Overlooking the beautiful cliff gardens and with panoramic sea views, the Gleneagles offers 4-star guest accommodation within Southend's tranquil conservation area. Gleneagles is a Grade II listed building, which has now been completely refurbished, restoring it to its former glory. The location is perfect for both business and holiday travellers, with the town, transport links, theatres, quality restaurants and the pier/sea front all just a few minutes' walk away. The hotel's coffee house and residents' bar is a comfortable place to enjoy the view and relax with the papers. A full range of coffee and tea is served with cakes, light savoury lunches or snacks. Unfortunately, due to the age of the building, the Gleneagles hotel does not have a lift. With a 4-star Silver Award from Visit Britain, The Chudleigh is a Guest Accommodation in the centre of Clacton on Sea, near the main shopping centre, pier and seafront gardens. Established by the current family in 1963, its unique architecture makes this popular guest house a town landmark. Pleasantly informal service and superior accommodation is offered in superb surroundings. Hosts are fluent in French and Italian. 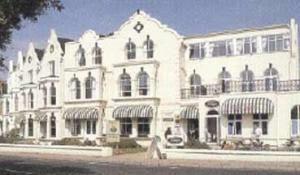 Open to leisure and business visitors, The Chudleigh offers an extensive English breakfast menu. Please be aware that The Chudleigh has no lift and is strictly non-smoking throughout.